This was a fun baby shower I helped throw for my dear sister-in-law. We wanted to do a vintage style bedtime stories theme. I found these great children’s illustrations in an old nursery rhyme book and photocopied them and glued them to some paper-bag book covers for a simple, cute decoration. 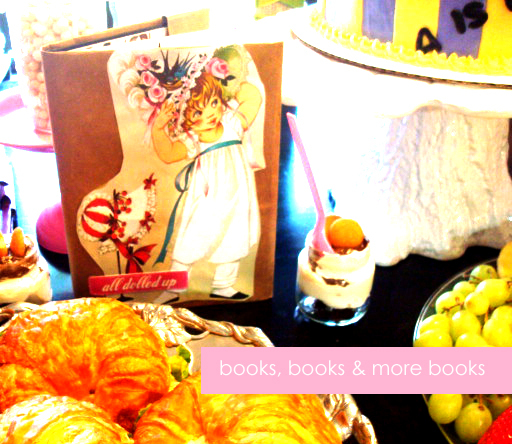 We added the books to the food table and the brunch tables. They set the perfect tone for childhood nostalgia. The illustrations were so beautiful and fun that we didn’t need much more decoration at all. I did place some of the food on stacks of books with old nursery rhymes like “humpty dumpty” written on the bindings. The cake was designed with books and old nursery rhymes in mind. 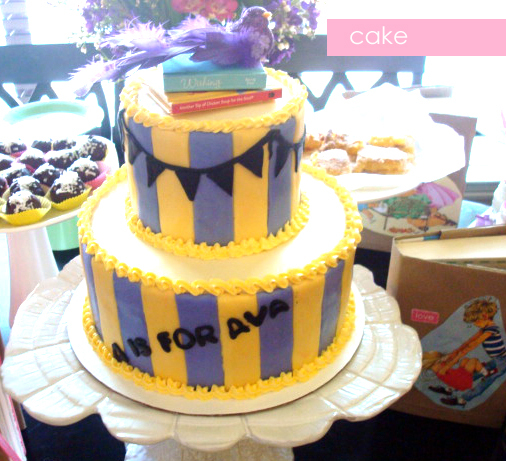 “A is for Ava” the baby’s name, was written at a slant to top off a whimsical looking cake. This shower had tons of food which is always a great idea at any shower! (a little champagne of course, too, for the guests). 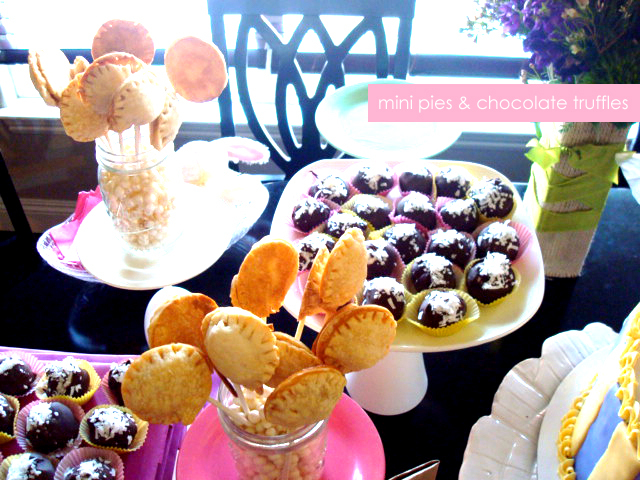 We had mini apple pies on sticks and delicious chocolate truffles that were hard to resist. 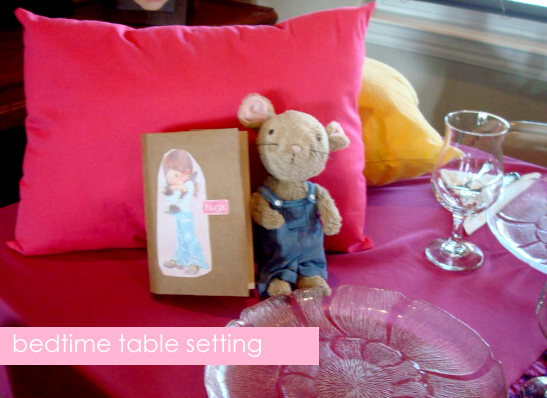 The tables were topped with fabric sewn to look like a folded down sheet and topped with bright color pillows and a few tiny stuffed animals. In all, I think this shower was very successful and pretty unique! 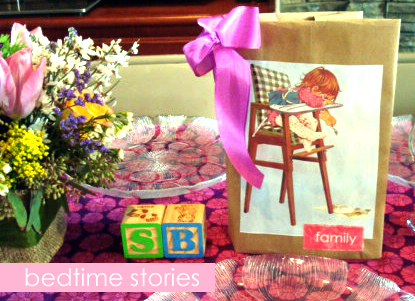 The bedtime stories theme was relaxing, add to that tons of food and some great gifts and you have yourself a simple yet elegant shower.